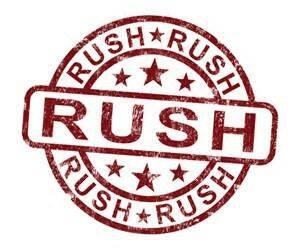 Rush Order Fee for Items processed within 7 days or larger stands. Select the mode of shipping needed to receive your order in time. Separate shipping fee applies.